Risk is defined as the possibility of a loss occurring, and it is also one of the main reasons why people tend to buy insurance. But could it also be the catalyst pushing some people to gamble? Let’s find out more on the topic and find out a few of the main differences and resemblances between insurance and gambling. The risk involved in gambling is a speculative one. Gambling activities create a risk situation that can either lead to a gain or a loss. On the other hand, insurance appears to solely handle the so-called pure risk. This risk category refers to the possibility of a specific event happening, including an accident or a serious health condition. Insurances are used to restore the insured to his initial position, and not to actually allow the injured person to make a profit. This is why there is no possibility to make a profit out of insurances. The same cannot be said about gambling since players can win progressive slot jackpots, poker pots, or blackjack and roulette wagers in the blink of an eye. Gambling can be regarded as an attempt to boost the odds of something positive happening. Insurance is to be seen as a means of lowering the chances of something negative occurring. Just think about aeroplanes that invest millions of dollars a year to maintain their aircraft and cut the risk of planes crashing. Or homeowners installing a home alarm to lower the risk of their home getting broken into. And there is also the example of business owners investing in their marketing efforts to record more sales. Some people would think of these examples as a means of gambling. Others would look at them as types of insurance. Gambling is, generally speaking, the act of spending a small amount of money to benefit from a small probability of winning an important prize. For example, people choose to play online slots and wager small amounts of money in hopes of winning a jackpot prize. Gambling has one obvious advantage over insurance: its ability to make people feel good or have fun, boost their adrenaline levels and make them forget about their daily stresses. Gambling with the intent of actually making a profit by using advanced gambling skills can certainly keep you involved in a game and capture your attention for a while. Not to mention it can bring some pretty exciting changes in your life, provided you do win, and it’s a big prize. As for signing an insurance policy or paying the premiums every month, they will employ expenses that will most likely stress you out instead of relaxing you. Sure, you can still enjoy the thought of having life or home insurance that should come in handy in case anything is about to happen. Knowing you and your family will be taken care in the event of a tragedy or accident should make you feel good or at least more at ease. Gambling online using virtual venues like the ones recommended by Australia Casino or joining brick-and-mortar casinos and experiencing the glamorous life of gamblers are attractive ideas. And, judging by the figures provided by statistics that claim billions of people engage in some form of gambling at some point throughout a year, we would have to agree. Gambling is a form of expressing one’s hobbies or passions for their favorite card, table, or slot games. With thousands of online gambling rooms and venues to choose from at the moment, and more land casinos spread worldwide, finding the most appealing, engaging, or captivating games to play should not be a problem to most people. 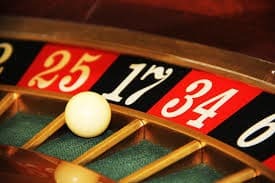 The chance to play casino games without actually wagering any real money by opting for fun or practice mode is also likely to encourage you to spend even more time behind a virtual table or roulette wheel. The fact that you can join poker tournaments or plan trips to Vegas with your friends or family and have a blast or really struggle to bring home some nice pots is reason enough to keep embracing the activity. The risks are always there, but as long as you know how to select the most advantageous places where you can wager your money, and be informed on the best strategies and tactics, you should be able to minimize the loss. Just keep in mind to stay focused and try to limit the time you spend in front of a computer, gambling for real money, or inside land casinos. Seek help if you feel you need it, set up a weekly or monthly gambling budget and stick to it, and constantly work on improving your skills and strategies.